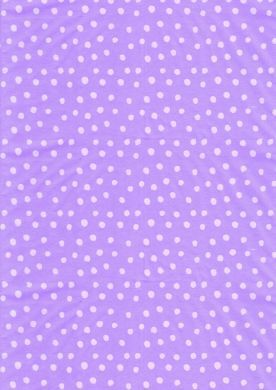 Subtly coloured lilac background with white, random, polka dot design. A gorgeous feminine paper for all types of paper craft projects. The colouring of both the background and the polka dots is irregular giving the paper a slightly worn look.